During the month of August, I have explored the notions of space between bodies and the environment. 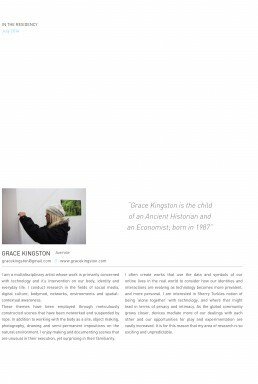 I have created a number of experimental interdisciplinary projects, photography, site-specific installation and soft sculpture. Many of these projects are “prototypes” building towards a larger exhibition in Sydney later in the year. 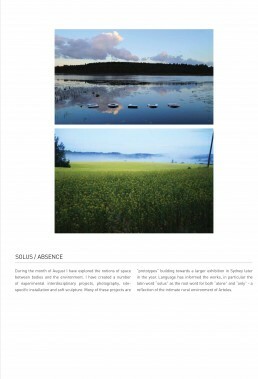 Language has informed the works, in particular the Latin word ‘Solus’ as the root word for both ‘alone’ and ‘only’ – a reflection of the intimate rural environment of Arteles.